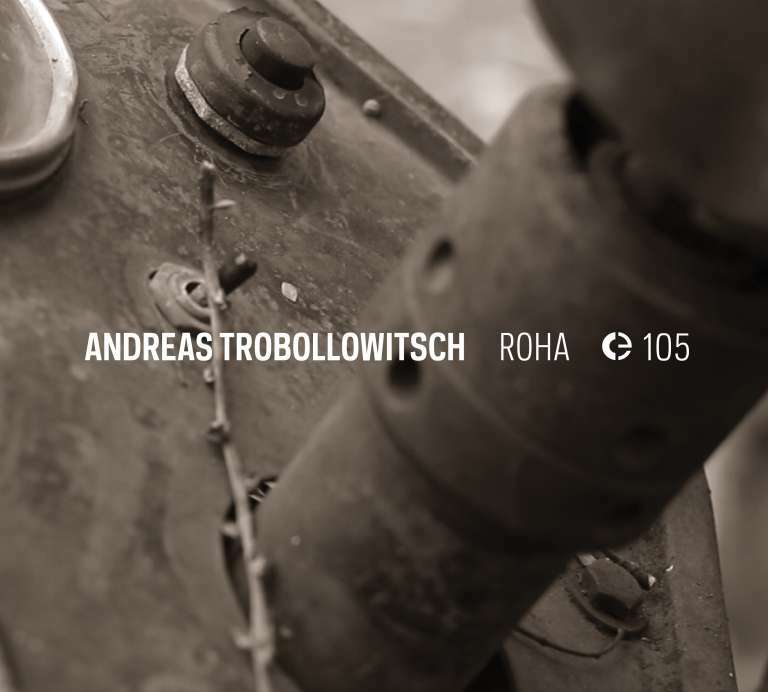 Roha is the first solo album by Andreas Trobollowitsch. Previously a member of the duos Nörz and Acker Velvet, he produced two highly acclaimed albums, released through Schraum (Berlin) and Monotyp Records (Warsaw), and in collaboration with David Schweighart, he composed the soundtrack for the 1920’s cinema series Digi Wave for the Filmarchiv- Austria. As in his previous works, the production process of ROHA is based on improvisations to be used as basic materials. The actual pieces, as heard in the album, were developed by a later process of selecting, combining and cutting these basic materials. Although using a similar approach, the works in Roha are considerably more straightforward, rawer, and rhythmical than his previous endeavours. Focused on the colour of sound, Roha oscillates – in the field of electroacoustic music – between experimental, minimal and metal music. Each piece has its specific and clear compositional idea, which makes them accessible, without forfeiting surprising twists. From somewhat exotic instruments to the no-input mixing desk, this album is mechanical, while remaining intensely human and analogue, not including any digitally-produced sounds. Some of the pieces start from a single sound-source: 1’11” from feedback produced by a electric bass; zain from double bass; klavirzinho from a piano loop that gradually transforms until almost disappearing in a wall of sound; in ratt, ssbeat and i.ii. the textures are far more complex and orchestral, with high and low pitches, strenuous squeaks from where minimal melodies emerge; tuul is based on unexpected cut-ups, while tapco blends several recordings of double bass with white noise and drums that not only provide rhythm as also sonic complexity. Highly detailed and thorough, Roha is a very organic album, built from diverse materials, in a densely textural patchwork. Andreas Trobollowitsch is a Vienna-based composer, performer and sound artist. He studied musicology and jazz in Vienna and Paris. In his works, he uses mainly self-developed and prepared musical instruments, modified fans and feedback. Recently, he has been focusing on sound performances, sound installations, conceptual compositions and drawing installations. He received the State Scholarship for Composition, Start-up Scholarship and several Composition Grants from the Arts Division of the Austrian Federal Ministry for Education, the City of Vienna, the Filmarchiv Austria, snim, &c. He has toured, performed and exhibited in Austria, Germany, Slovakia, Czech Republic, Poland, Belgium, Netherlands, France, Portugal, Spain, Argentina, Brazil, Chile, China, Mexico, USA, Japan and South Korea.